Here are the top headlines from the Overland, Off Road, Photography, and Outdoor Industries for April, 2017. 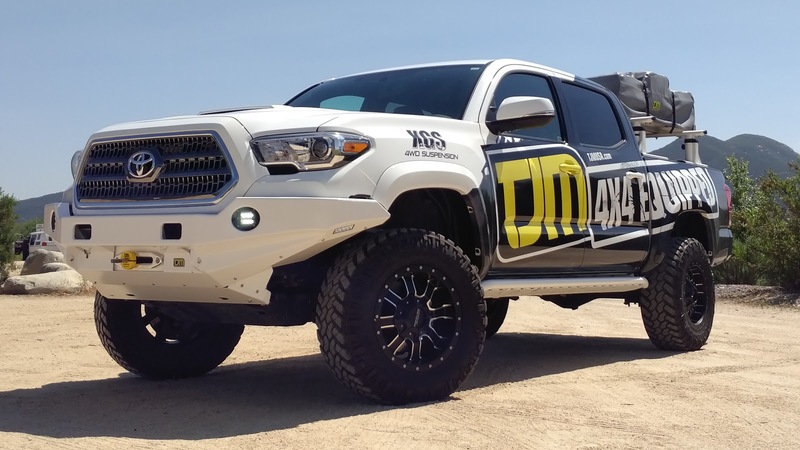 TJM’s all new RockCrawler bumper for the 2016 + Toyota Tacoma is now in final stages of production. knowing that your pride and joy has the best styling on the market and the maximum level of protection available. Beau had the privilege of speaking with the iKamper team a few weeks back. Their new Skycamp roof-top-tent Kickstarter campaign closed last week after receiving nearly $2.4M in funding. They actually beat their $100,000 goal in the campaign's first 24 hours - crazy! Production of the tent material (poly and treated poly-cotton) are being moved to China because of the limited production capacity of the factory here in South Korea. The material is actually cheaper for us to obtain here, but with a production capacity of 100-150 units a month we would be shipping KS orders until the end of the year. The quality is in no way being sacrificed. Quality remains one of our priorities, and final assembly and quality control are done at our factory here in Korea. "make a financial payment to YETI; to cease sales of all products subject to the lawsuit – this includes hard-sided coolers, soft-sided coolers and drinkware; and to redesign all products in question."